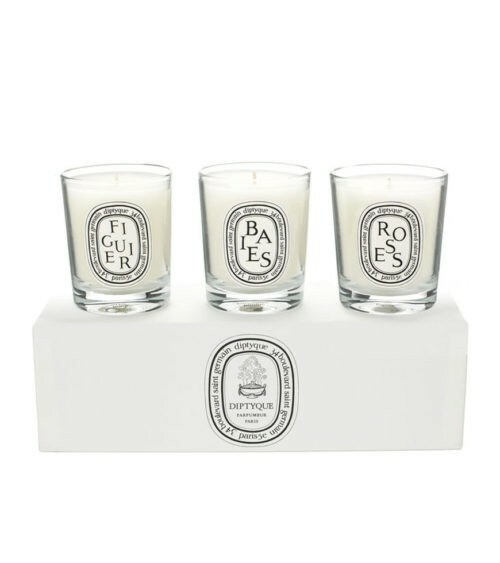 Diptyque's set of three mini-candles includes Baies, Figuier, and Roses. 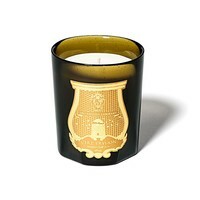 Burn the candles separately or together for aromatic bliss. Baies Notes: an irresistible, fresh fragrance that captures the essence of a green riverside garden. Figuier Notes: an intense fragrance inspired by the fig tree, with the warmth of its bark, the freshness of its leaves, and the milky sap of its fruit. Roses Notes: an homage to the queen of flowers featuring a timelessly glamorous scent that fills the air with the spicy romance of garden roses. Burn time: 30 hours each (approximately). Three 2.5 oz/70g single-wick candles. 2.0"/5cm height, 2.5"/6cm diameter each (approximately). 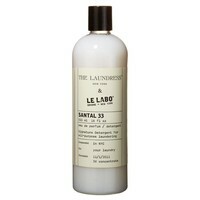 Available in White/Clear. Wax. Vessels: glass. Made in France.